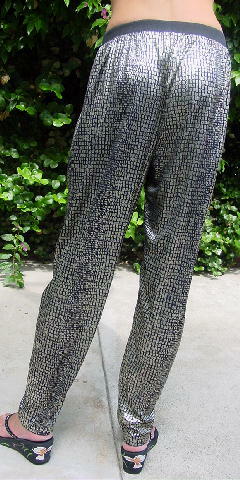 These vintage pants have a shiny 100% polyester shell and a black trim of 100% cotton. They have a 1 5/8" elastic waistband. 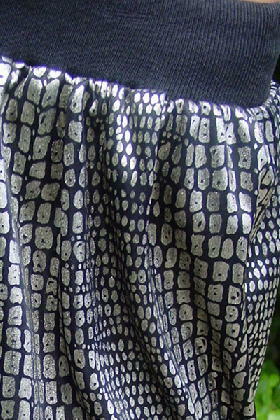 There is a black and silvery design pattern. 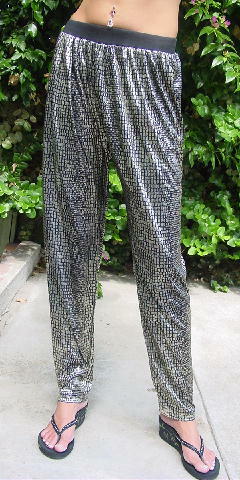 They're by Pierre Cardin and were made in the USA.